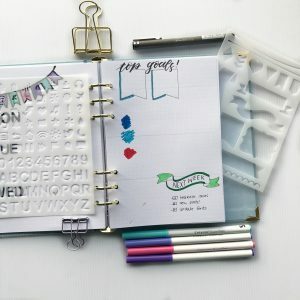 You are here: Home / How to / Easy bullet journal spread design in under 15 minutes! 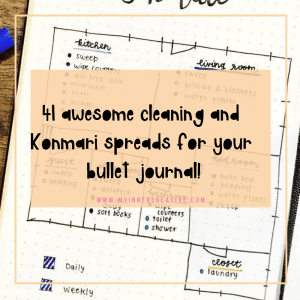 Easy bullet journal spread design in under 15 minutes! 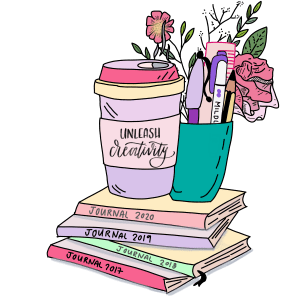 We all struggle with creating time to do a spread! 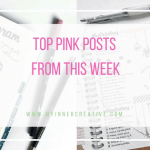 What if I told you – you can create a spread in under 15 minutes? Well you can! 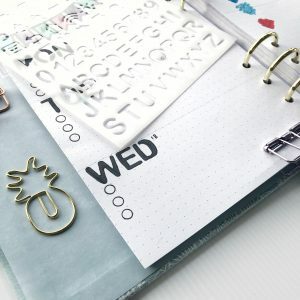 Easy bullet journal spreads can be created with a little help from stencils and stamps and in this post we will discuss using stencils to help you create those easy bullet journal spreads! This mindset came to me as I was struggling to stay focused on my goals. As a former high school athlete and lover of sports, the team mindset allows resonated with me. As an adult, like many others, my perspective was forced to shift to an individual mindset, which I have found difficult. If I am only letting myself down when I don’t reach a goal it is easy for me to quit. As soon as I shifted my mindset to a team mentality the need to achieve my goals amplified and become much more important. 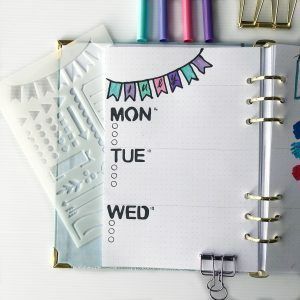 I started with drawing out a simple spread and I loved the Alphabet stencil to create the days of the week, as well as the wee little banners to create more! I also created a movie spread with the Movie spread stencil which was fun and easy to do!! I then used the banners to create a goals section and the social media icons to create a tracker space for my social media branding. Really quick easy and effective! Other ways to use the stencils! 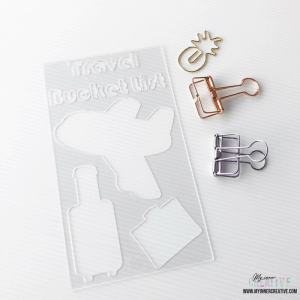 Janetta has some really clever trackers and ways to use the bucket list and travel spread stencils. The banners are a great addition to any spread and helps making cover pages and goals an absolute breeze! What did I think about the stencils? Overall I really liked the alphabet stencils! They were fabulous to use, and made making a spread with uniform letters a breeze! I found the book stencil a little tricky to use so highly recommend using some Washi tape to keep it in place when drawing with it. They are far thicker than the moxidori stencils and are quite robust. 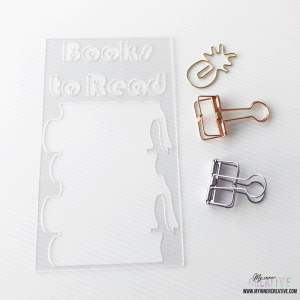 Janetta has a blog and shop you can grab these stencils from! And you can find her Instagram and Facebook . I adore the positive and inspirational quotes Janetta uses on her Instagram page! 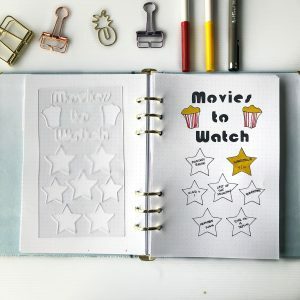 i’ve been seeing people use stencils when they’re making their spreads and i really want to get some stencils since they can increase productivity. 🙂 i’m now looking for stencils with designs that i’d like to use! Stencils are quite the life saver. Especially when there are days when you just can’t be bothered. 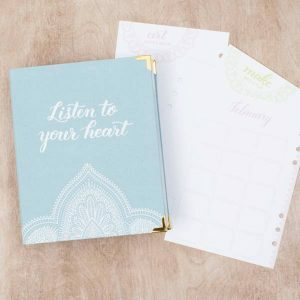 Love stencils in a journal! 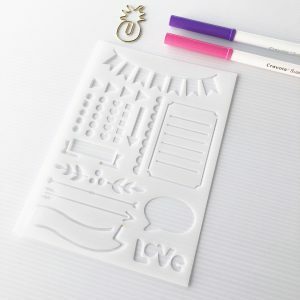 I wist I had stencils like this to make my journal neater! I’m a terrible free hand artist so it would be a life saver! Oh wow!! Love the stencils sooo much. I’m a sucker for perfect journals hahah. 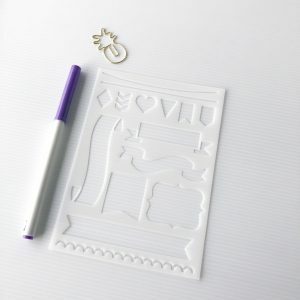 I love the convenience of stencils, although have to admit I often forget to reach for mine! I must try and remember more often! Stencils are definitely are time-savers. My favorite part is when you get a new stencil and you immediately start planning how to use them all. I am looking for this stencils. It took very minimal time for busy person. It also look so nice ! I struggle to make time to set up new spreads every month! It’s nice to think you can make something pretty and functional in a shorter amount of time! I did not know u had a blog, and this is awesome!!! at first I disliked stencils, thinking they’re something that just lazy people use but as I’ve done more journaling, I’m starting to realize what a lifesaver they are. I love the idea of using stencils! It would take some time off on the little things, giving me more time to play around with spread ideas! I think stencils are a wonderful idea and I will give them a try sometime soon. I’m not very good at drawing. The stencils will be very useful. I like the clean minimal look. 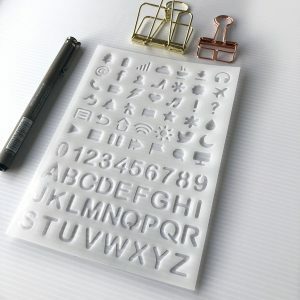 Oh I think I have the alphabets stencil when I was a kid, for arts class. Lol didn’t realize that I could use it now for spreads. And God knows where that stencil is now. Thanks for sharing, this brought back memories of seeing those alphabet. I’ve wanted to try stencils in my journal for a while but haven’t found any I really like. I can’t wait to check out these stencils, especially since they’re from my home town! Banner stensils are so much fun for headers. 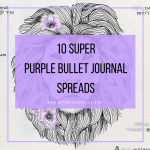 I really need to use more of them in my journal along with more washing tape. Everytime I use either I really enjoy how it looks clean but it is quick to put together! Would love to try these stencils! Using them would save lots of time and nerves.